i created the name of this blog as: “in the painting of chaos” because for as long as i can remember my life has been that of chaos. not always bad chaos but chaos nonetheless. i guess in some small way i crave it and i have learned that chaos is synonymous with the order of life: nothing fits into uniform categories and nothing is predictable. so i have learned to embrace the chaos and be open to it. the same has held true with my art. photography grounds me and keeps the creative juices flowing through my veins. without those creative juices the chaos of life would take it’s toll on me and i could just crumble. the last two months of last year were the busiest and most chaotic of my entire professional career as a photographer. and, i loved every moment. i grew as a friend, a mom, a wife, and artist and a walker of life (if you will). i have so many images that haven’t been blogged about, so many experiences blessings that i don’t know where to begin in writing about them. life has ebbed and flowed through me these past few months so quickly and powerfully. i guess you can call it a growth spurt. it’s a blessing really to expand, to be humbled and to learn. life lessons if you will. and thankfully they have all been good ones too. so here are some images from my painting of chaos. i chose these images randomly from recent and old photo shoots. these shots are taken from moments in time that have been on my mind lately in one way or another– so i wanted to share them in this blog. 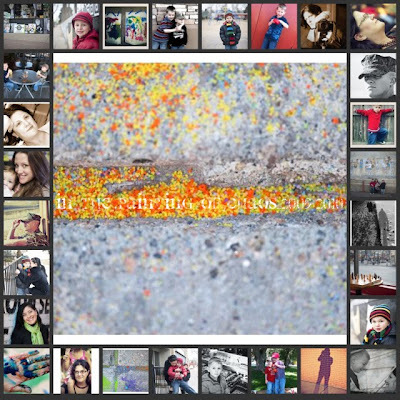 random yet powerful images and memories shared chaotically in my newest artistic template: the collage. as always, thanks for reading. and if you like anything here–drop me a comment. i so enjoy feedback. drop me a note even if it’s just to say hello. thanks for visiting chaos land. littleton, colorado. Those look like some amazing images, each with at least one story. Sounds like a time of growth. Now we just need to find the time for you to tell me all about it! When I was single I embraced chaos so much more openly. Having a son has introduced a whole new layer of chaos (wonderful chaos, but chaos nonetheless) and I find myself constantly trying o find the balance in the chaos. I find myself hungry for structure but too much structure makes me feel all tight and oppressed. I need that chaos. I need the openness….thanks for celebrating yours here! It is inspiring!